Many web pages on the internet make use of checkboxes for multiple choice selections, but a problem arises when there are lots of boxes on a page. 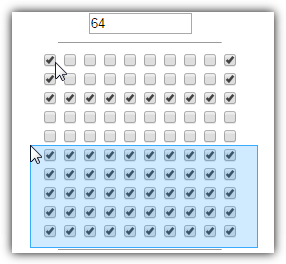 Normally you would have to go to each box individually and if you want to check or uncheck it, click on each box one at a time. Web browsers like Chrome and Firefox offer no built in facility to enable selection of checkboxes in bulk or even all at once which could save huge amounts of time when there are many to process. For that you will need to make use of a browser extension. Here we list 5 extensions for Chrome and Firefox and browsers that utilize those extensions. Do take note that after installing a checkbox extension you will need to refresh any pages already open for the selecting to work. At the time of writing the last update to Multicheck Checkbox Checker was in late 2015 so this extension is much newer than most others listed here. It behaves in a similar way to the Firefox extension with almost the same name, Multiple Checkbox Checker. Multicheck Checkbox Checker works in two ways, firstly you can hold down the left mouse button and move the mouse cursor over each checkbox and it will toggle on or off depending on its current state. The other way is to hold down Alt and drag a selection area over the boxes you want to change, and they will invert from their current checked or unchecked state. This is definitely the newest extension listed here (2016) and possible also the easiest to use. As the name suggests, this extension allows you to mass change all checkboxes on a web page with one click, selective checking or unchecking is not possible. After installing Click All Checkboxes its icon will appear at the top right. All you have to do is click the icon and then the big “CLICK ALL CHECKBOXES” button that appears. All boxes on the page will then invert from their previous state, checked to unchecked and vice versa. Check Range has not been updated since 2012 and is based on a decade old GreaseMonkey script but despite this seemed to work without too much issue. 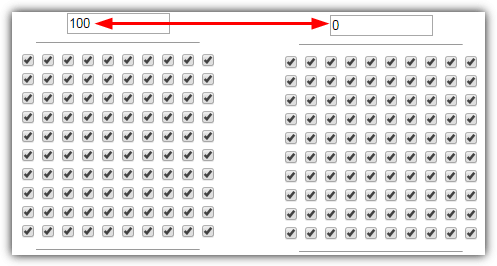 The idea of clicking on ranges of checkboxes is similar to Windows Explorer. Click the first checkbox, press and hold Shift, then click the last checkbox. Everything in between will change its state to what happened to the first checkbox, if it was checked everything else will be checked, if it was unchecked on click then everything in the range will uncheck. It does not toggle the current state of the boxes on or off but mirrors the state of the first box on all the rest. CheckFox has been around since 2007 and is one of the original Firefox checkbox checking extensions. Sadly it has not been updated since 2011 so any bugs or compatibility issues are unlikely to be addressed. It’s surprising the extension still works on the latest Firefox browser, but it does for the most part. 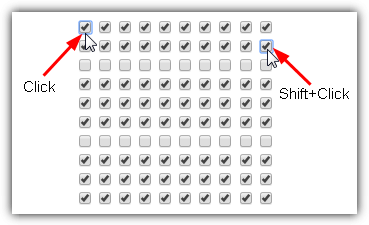 Usage is quite simple, click and drag your mouse over the checkboxes to edit and then right click. 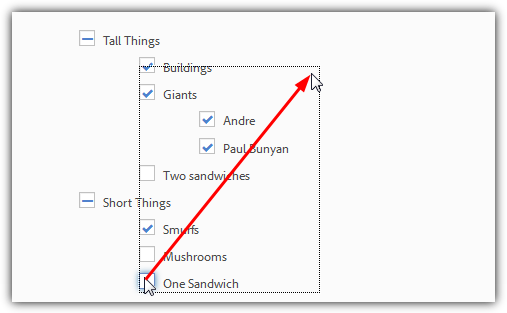 A menu option will appear to check unchecked boxes or uncheck checked boxes. If there is a mixture both Check and Uncheck options will be available. If the box has text it will highlight but there will be no physical indication when it’s only the box, but the checking should still work. To activate the multiple checking click on the first checkbox and drag the area over the rest of the checkboxes you want to affect. This will invert current selections by checking currently unchecked boxes and vice versa. The good thing is you do actually get a visible selection area box so can see what’s going on, make sure you actually click ON the first checkbox or it won’t work. Nice! “Multicheck Checkbox Checker for Chrome” saves so mush time , thank you! Chrome extension worked perfectly – thank you!